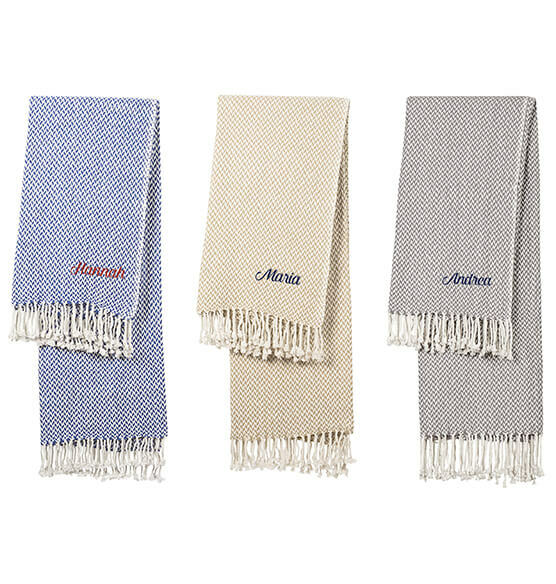 Add cozy charm to a den or guestroom with the Personalized Herringbone Throw. 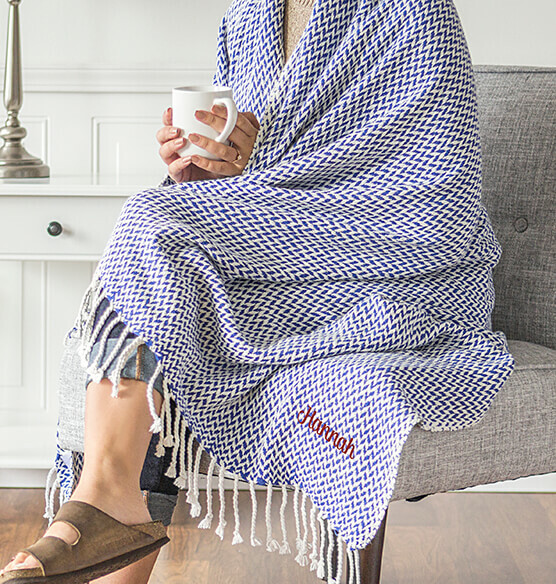 This beautifully textured custom blanket is crafted from 100% cotton and is decorated with fringes on both ends. 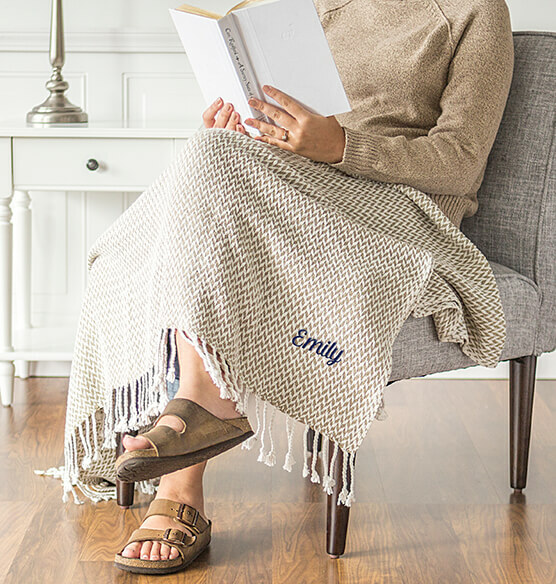 Available in three soft colors, this warm throw is a great gift for any occasion and makes the perfect cuddle-up blanket.